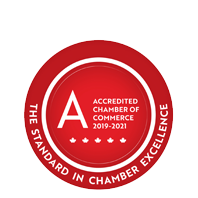 Buckland | Customs Brokers | Importing/Exporting | Freight Services | Warehousing - Business Directory - St. Thomas & District Chamber of Commerce - ON, ON ? Established in 1945 Buckland Customs Brokers Ltd. offers a complete range of import/export services and customs consulting. In addition to their customs brokerage capabilities, Buckland offers a variety of international and domestic transportation services, warehousing and distribution solutions. With Buckland, your company can be assured of receiving efficient, personalized service from their dedicated representatives.